Erin was appointed to the McLean Foundation Board in 2009 and is the Field Representative for Assembly member Jim Wood in Eureka. Erin grew up in a small town on the Oregon Coast much like Fortuna and graduated from the University of Oregon with a degree in Communications. Prior to moving to Fortuna in 2003 to work in the Public Relations department of the Pacific Lumber Company, Erin lived and worked in Washington, D.C. and New York City for 20 years as a theatrical press agent. Erin is a member of Fortuna Sunrise Rotary. In addition to the McLean Foundation, Erin serves on the board of the Ferndale Repertory Theater and is a founding member of the Friends of the Fortuna Cemetery District. Jon was appointed to the Mel and Grace McLean Foundation Board in 2006. Born and raised in Fortuna, Jon spent most of his youth enjoying the area’s wonderful outdoors fishing and hunting. His mother’s family came to the Eel River Valley in the 1860’s and Jon gained an appreciation for the hard work and sacrifices made by his family and others in building our Southern Humboldt communities. Following graduation from college with degrees in business and education, Jon worked for 12 years in Oregon, returning to Humboldt County in 1989. 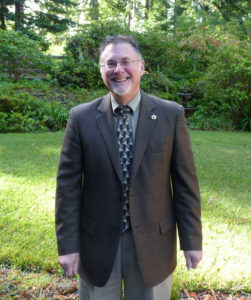 He is currently the Assistant Superintendent for the Humboldt County Office of Education. In addition to the Mclean Foundation, Jon’s community involvement includes being a board member for the Humboldt Area Foundation, the North Coast Small Business Development Center, Humboldt County’s Workforce Investment Board and currently as Chair of the Board for SHN Consulting Engineers and Geologists. He was previously a board member for Humboldt County’s Headwaters Fund and past-president and current member of Fortuna Sunrise Rotary. Jon and his wife Sheryl live in Fortuna and are committed to working for the betterment of citizens in the Eel River Valley, Southern Humboldt and throughout the County. Together Jon and Sheryl have four adult children. Tiara Brown, was born in Fortuna, and is a 4th generation Humboldt County resident. She is the oldest of three sisters. Her husband is Bradley Brown and they have two children. She is the Business Manager and Human Resources Director at Redwood Preparatory Charter School in Fortuna. She has a degree in Business Administration with an emphasis in non profit organizations from Sonoma State. Tiara feels very passionate about being involved in this amazing community. 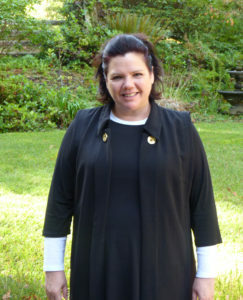 She is a past member of the Fortuna City Counsel and is a current member of the Fortuna Sunrise Rotary. She enjoys planning, organizing, spending time with friends and family, and traveling.